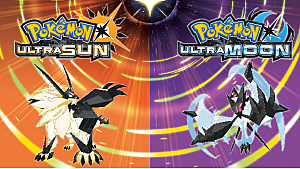 With the release of the seventh generation of Pokemon titles -- Sun and Moon last year and the recent Ultra Sun and Ultra Moon -- there’s been something on my mind. As anyone who has played these titles knows, there were large changes made to the classic series's formula in this gen. In particular, I want to talk about the removal of HMs (Hidden Machines) and why said removal actually hurt the franchise more than anything else. Every mainline Pokemon game up until this point had included HMs. HMs were items you obtained that let you teach your Pokemon a special move which, unlike all other moves, could be used not only in battle but also in certain overworld situations. 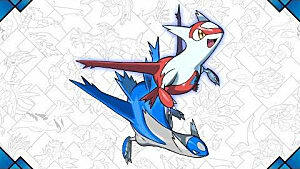 While specific HMs varied from game to game, there were some that were consistent across the whole series, such as Surf, which allowed you to swim over large bodies of water, or Fly, which allowed you to use a flying Pokemon to return to previously visited locations (aka fast travel). Like any other move in Pokemon, only particular Pokemon could learn particular HMs. For instance, you needed to be able to fly to learn Fly. In place of HMs, we were given the Poké Ride system. Instead of teaching a Pokemon a move, you were given a particular Pokemon you would summon exclusively to execute the functions that you previously used your own Pokemon for. 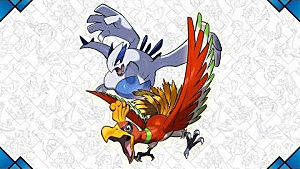 Whereas you previously used your Pidgeot to fly, you were now using a generic Charizard to get the job done. 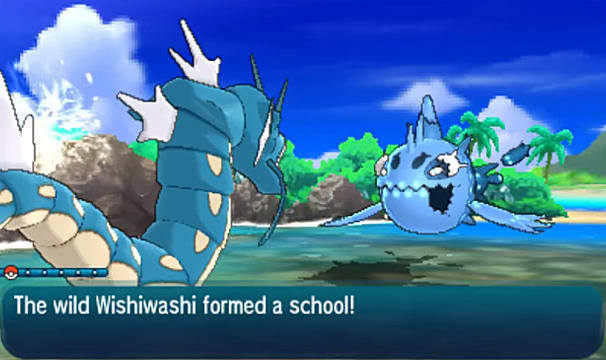 And while you were using your Swampert to surf previously, now you were going to be using a generic Lapras, Sharpedo, or Mantine. 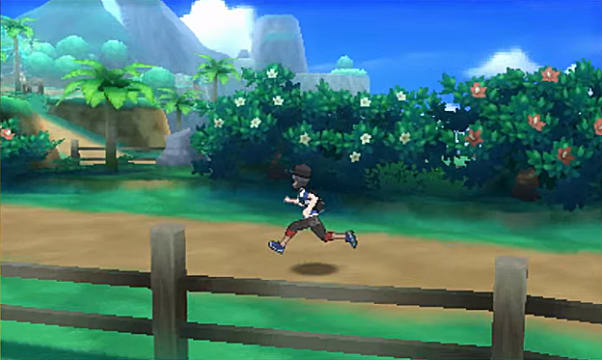 In that same light, surfing on your Pokemon would cause a black, unidentifiable blur to appear underneath your character so that the developers would not have to actually create and animate hundreds of different Pokemon sprites or models; now there are custom models. 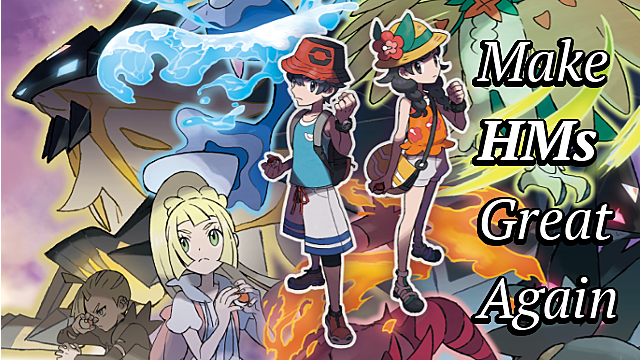 On the surface, replacing HMs with the Poké Ride system only seems to affect the game in small ways; however, considering the actual reason these systems were created in the first place reveals what is actually going on behind the scenes. It should be noted that HMs actually have a lot of uses in the world of Pokemon, and I am not just talking about the literal function of the skills themselves. Whether it was the in-world uses of HMs or their combat uses, there was a wide spectrum of uses for HMs over the years. 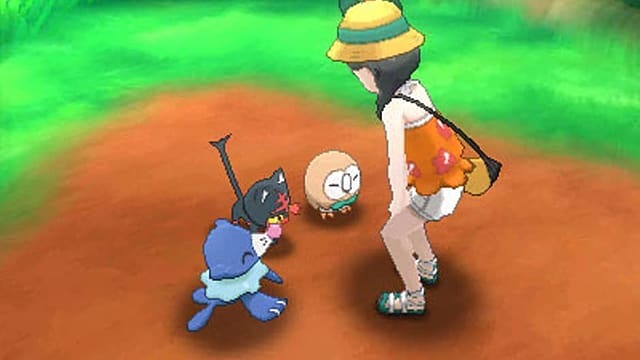 That being said, HMs allow you to interact with the game world using your Pokemon in a way that does not just represent beating up other Pokemon. The overworld uses for HMs allow the developers to organically add in layers of exploration by gating off content. In other words, you may be able to see that you can get to a small, item-bearing island in the middle of a lake from early on in the game, but it’s only later in the game that you can actually return to this spot to get said item. Moreover, HMs can ensure that you cannot surf until you actually get everything required to surf -- HM, badges, a Pokemon that can learn Surf, etc. -- meaning they know you cannot get to locations you are not supposed to be at until the appropriate time, which is important in a game where you can freely trade Pokemon around. This is very clearly the part of HMs that the developers wished to preserve with their implementation of Poké Ride. HMs also serve to tie your Pokemon to the game world, thus grounding the experience (well, as much as that is possible in a game world as ridiculous as Pokemon). It makes sense that you could use an HM like Strength to bot push boulders in the open world and to push around Pokemon in battle. Moreover, since YOUR Pokemon have to learn these HMs, it feels like your team and by extension, you, are affecting the game world. This aesthetic, emotional value is something that, while secondary in purpose, is nonetheless very powerful. It grants you autonomy and power over the world in a way that the Poké Ride just doesn’t. But perhaps most importantly, HMs completely shape your team from start to finish. Usually, HMs are not optional. While this has changed over the course of the series, with certain HMs like Cut becoming almost completely optional, at their best, HMs help shape the exploration. This is seen through the extensive use of boulder pushing puzzles in early games, as well as in Surf, which has been required for extensive portions of every game. This meant that the developers could force you to learn HMs to get past overworld blocks while also ensuring you had the combat weapons needed to adequately handle the enemies going forward. This helped subtly lead you toward using Pokemon that could learn these essential moves, thus helping ensure you had a balanced roster. Now, you might think I'm looking at HMs through some odd rose-tinted glasses, but you’d be wrong. All of this wonderful design aside, the HM system has had some major issues since its inception. In fact, it is amazing that the rules surrounding them were never changed over the course of nearly 20 years. Let's look at some of the larger problems with the system. Well, except by one particular person in each game, which is needlessly annoying. This creates a TON of problems. 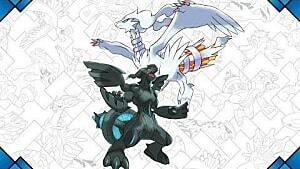 This eats up 1/4 of a certain Pokemon's moveset. 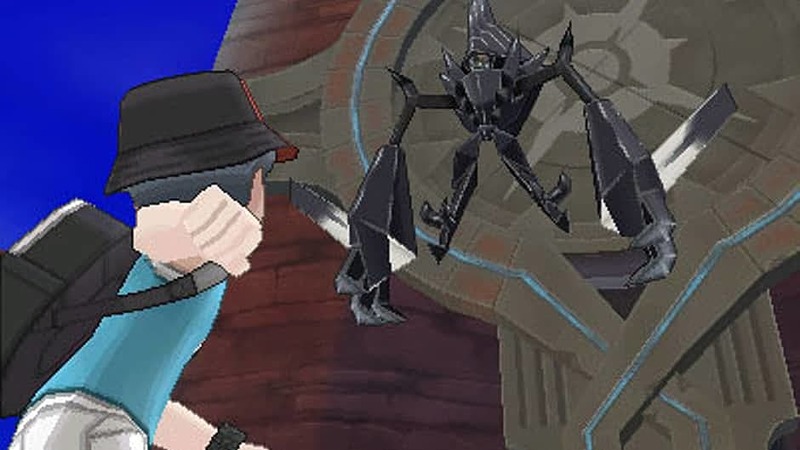 Some of the games have up to 8 HMs, meaning one or two Pokemon might have half their moveset dominated by these moves. The autonomy that HMs add on the overworld is counteracted by the inability to choose moves for particular Pokemon on your roster. This is relatively straightforward. Most HMs are not exactly what you would call "useful" moves. Rock Smash hits with a whopping 40 damage (it was only 20 in gen 2 and 3). Flash literally only lowers your foes’ accuracy, which might not even be something you are interested in. There’s also been a propensity toward crappy Normal-type moves, which fails to take advantage of HMs' ability to balance rosters. And don’t even get me started on Defog. 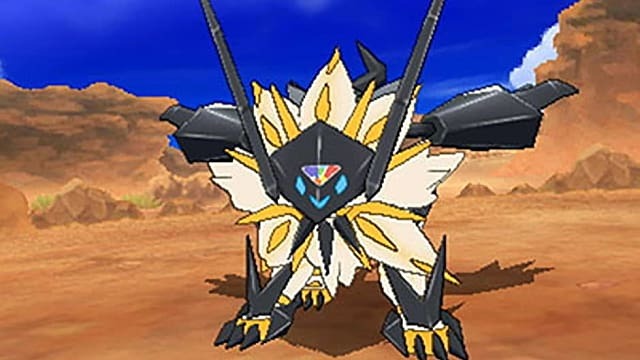 Even the ones that are good, like Surf, are not great for all Pokemon that can learn them since moves are split between Special and Physical types. 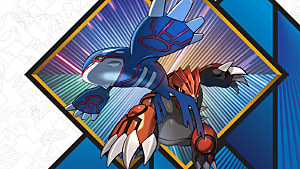 This means a physical attacking Water Pokemon, such as Swampert, will find a lot less use from Surf than a special attacking Pokemon like Kyogre. 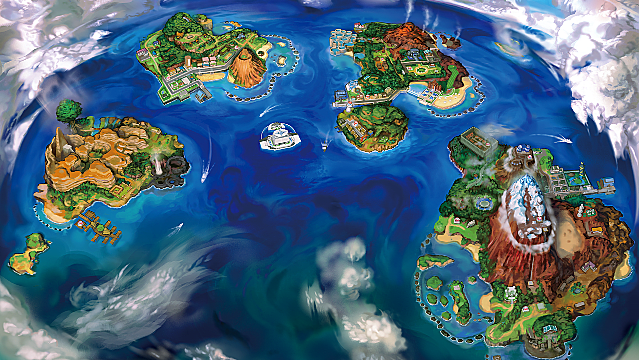 There have also been four different Water-type HMs -- Surf, Waterfall, Dive, and Whirlpool -- over the course of the series, which is kind of crazy considering there are eighteen different Pokemon types, most of which have never had even one HM. 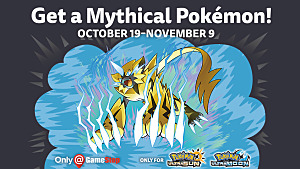 This, in turn, puts a huge burden on water-type Pokemon to learn multiple HMs despite you maybe not wanting or needing that. These two major issues also lead to the emergence of other problems, like the so-called “HM Slaves,” which are Pokemon you only ever keep around because they have learned four different, crappy HMs that you’d never want your actual combatants to learn. As much as I am willing to merely complain talk in hypotheticals, I will actually give some practical solutions to this problem, which has frankly been completely mishandled over the duration of the series. You should be able to use an HM on the overworld without forcing a Pokemon to actually learn it. This means that HMs don’t have to be great moves, nor will you be forced to learn crappy moves. This does mean that you can't rely on the fact that a Pokemon knows a certain move just because they are using a certain HM. That is to say, a Pokemon could use Surf on the overworld, but the dev doesn't explicitly know whether you actually have a Pokemon that knows a water move; they just know you have a Pokemon that is capable of learning a water move. However, this is a cheap and easy fix. 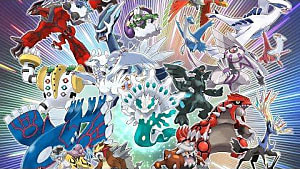 HMs should be represented by a large diversity of Pokemon types. So, maybe there is a fire equivalent to Surf, which would then allow you to ride on lava, which would be freaking awesome. Maybe there is a ground equivalent to Dive (the already-existent Dig?) which allows you to burrow down into certain areas. Maybe there is a fairy move which allows items in the world to begin to float, similar to the way fairy dust is used in the Peter Pan/Tinker Bell universe. While I have largely focused on how HMs tie into combat, another shortcoming of HMs is that their overworld usages truly fail to inspire. In short, I would describe them as not being either action-oriented or logic-oriented enough. For action-oriented, you would want something that has some feel to it. Something that you can get better at controlling with skill, which might take some amount of timing to truly master and utilize. For logic-oriented, you would want something that works well for puzzles. Something that makes you think in an abstract way, which could then be utilized in a variety of ways. Imagine being able to hotkey certain HMs to your face buttons to then be able to make rapid-fire, Zelda-esque moves on the overworld. In fact, looking back at old 2D isometric Zelda titles reveals a ton of different items that could literally be stolen outright. Imagine if Cut was turned into something that was equivalent to Link’s sword. Merely pressing A, your hotkey for Cut, on the over world could allow you to cut down grass, just like in old-school Zelda titles. In fact, older games in the series let you cut swathes of grass using Cut, but it required you to go into the menu to activate it. Strength could be used to push boulders like it always has, or maybe it could let you pick up and throw boulders. Maybe Iron Defense could become a steel-type HM used like Link’s shield. And electric Pokemon could use magnetism similar to the Magnetic gloves in Legend of Zelda: Oracle of Seasons. Sure, all of this would be harder to abstract now that the series has moved away from its isometric 2D roots, but the potential to completely revolutionize Pokemon by reusing old Legend of Zelda ideas is damned near limitless. In summation, I think that the implicit team-balancing capabilities of HMs more than prove why they should have stayed around. In fact, I think they would have stuck around had they actually been innovated upon. If the devs had merely bothered to actually balance HMs so that they were more diverse and less crappy, then the system wouldn't have needed to be changed. More importantly, people would not have wanted it to change, because it would have been a pivotal part of the world's design rather than being a vaguely interesting but ultimately annoying footnote.